The recessed light, made of plastic, is a simple element for all the living areas you can possibly think of. 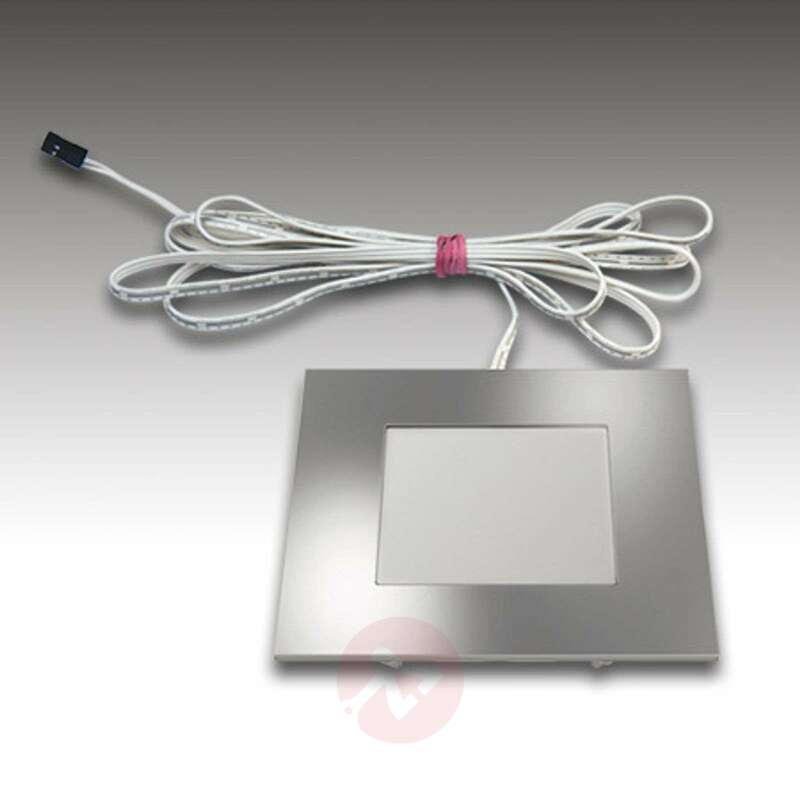 This light is as effective and functional in bedrooms as it is in entrance areas. A special version for the bathroom is not on offer, but this practical light can be placed in various areas of an apartment. The simple frame, with a matt chrome finish, gives an attractive look. 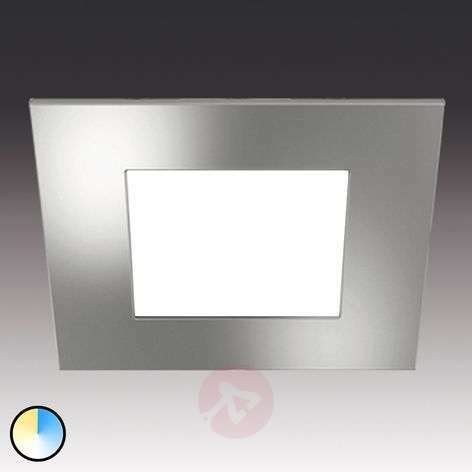 An inner square, with a satin finish, dims the nice LED light. It appears not only dimmed but also power-saving. With a 2.5 meter long connection cable, the light can be used in various living areas where light is required. The unobtrusive effect ensures pleasant lighting for a cosy mood. The luminous colour can be adjusted from warm white, 2,700 Kelvins, up to daylight, 5,000 Kelvins. The necessary transformer and the dynamic controller, with four-way distributor and remote control extension, can be ordered as accessories, item no 4514282 and 4514283. Please note: Flush-installation in 16 mm panels; use spacer of min. 50 mm in insulation. 24 V dynamic controller radio 75 W, 4-way distrib.